The Metro washbasin combines elegance with simplicity. 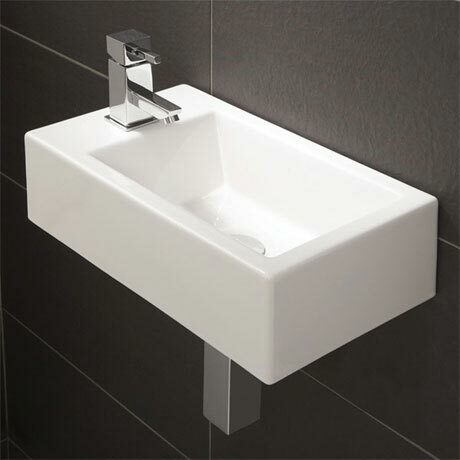 Manufactured from high quality ceramic, this wall mounted washbasin can be hung left or right handed and is available with a single tap hole. The Metro is perfect for smaller bathrooms, en-suites or cloakrooms. Basin requires holes drilling to mount onto a wall.